I decided that fighting the crowds was much to annoying so instead of going out I stayed in. I am not much to go out and buy Christmas presents on time anyway. I usually do it the day or two before when I have to scramble and draw a panic in order to get whatever it is that I need. Christmas procrastination has always been my "thing". I just don't like shopping that much unless it's for some sort of cool and new electronic toy or something I can buy online. That way it's easy and I don't need to deal with people. The more I shop the more I see how many ignorant people there are in this world. I don't mean to be cynical or anything, but it's true. My past 2 day's workouts were very interesting to say the least. When I was at the AKC cert Marty Ferrell (Master of Sport) mentioned that within the first 2-3 weeks of beginning the training regimen and protocol, as I am, that people experience almost flu-like symptoms. During the past couple days that has been me. My stomach has been fine, but my body has felt pretty weak and almost like all my nervous were lit up and tingling in a manner that was more annoying than anything. My mind hasn't felt as sharp either and my head has had a little head-ache and I never get head-aches. I have had very little patience and all I want to do is sleep. I figured if I just push through the next few days I'll be good and stronger for it. Now I clearly know why so many people will never achieve such results. There are a lot of mentally weak people in this world and as soon as their body starts causing them pain they retreat. I can't do that. I knew by taking this upon my plate that there would be hard times and painful times. 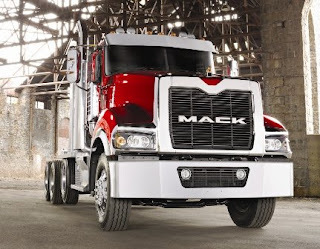 Right now I feel like I've been smashed by a big Mack truck. Actually I think if I really was hit by a Mack truck that it would feel better than I do right now.